There isn’t a day that goes by on Wall Street when certain stocks trading for under $10 a share don’t experience massive spikes higher. Traders savvy enough to follow the low-priced names and trade them with discipline and sound risk management are banking ridiculous coin on a regular basis. Just take a look at some of the big movers in the under-$10 complex from Wednesday, including Seanergy Maritime (SHIP) , which exploded higher by 27%; Arca Biopharma (ABIO) , which ripped higher by 22%; VBI Vaccines (VBIV) , which jumped higher by 14.4%; and Skystar Bio-Pharmaceutical (SKBI) , which soared to the upside by 14.3%. You don’t even have to catch the entire move in lower-priced stocks such as these to make outsized returns when trading. When I trade under-$10 names, I do it almost entirely based off of the charts and technical analysis. I also like to find under-$10 names with a catalyst, but that’s secondary to the chart and volume patterns. 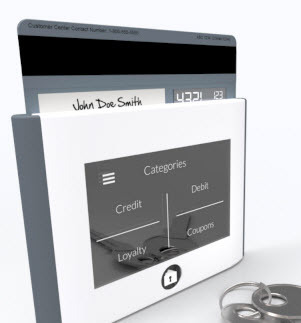 Another under-$10 security and protection services player that’s starting to trend within range of triggering a near-term breakout trade is Nxt-ID (NXTD) , which provides various biometric solutions. This stock has been hit very hard by the sellers in 2014, with shares down large by 40%. If you take a look at the chart for Nxt-ID, you’ll see that this stock has been attempting to carve out a bottom here over the last month and change, with shares finding buying interest each time it’s pulled back to right around $2 a share. Shares of NXTD are now starting to rip higher right above those recent support levels and it’s beginning to flirt with its 50-day moving average of $2.50 a share. That move is quickly pushing shares of NXTD within range of triggering a near-term breakout trade above some key overhead resistance levels. Market players should now look for long-biased trades in NXTD if it manages to break out above some near-term overhead resistance levels at $2.65 to $2.67 a share and then above $2.75 to $3 a share with high volume. Look for a sustained move or close above those levels with volume that hits near or above its three-month average action of 798,484 shares. If that breakout begins soon, then NXTD will set up to re-test or possibly take out its next major overhead resistance levels at its 200-day moving average of $3.48 to $3.70 a share, or even $4.20 a share. 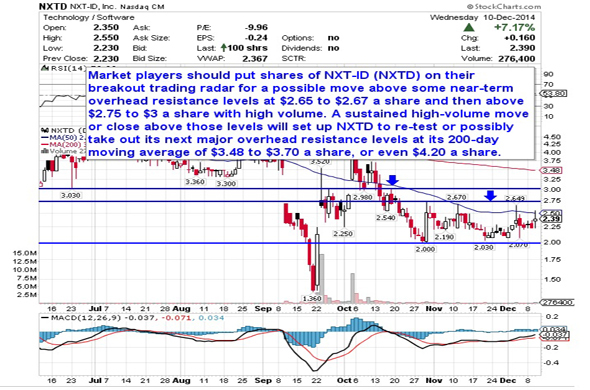 Traders can look to buy NXTD off weakness to anticipate that breakout and simply use a stop that sits right below some major near-term support at $2 a share. One can also buy NXTD off strength once it starts to clear those breakout levels with volume and then simply use a stop that sits a comfortable percentage from your entry point.